This simple oval keyring is luxurious and elegant making it a perfect keepsake gift for that someone special in your life, personalise for that added special touch. 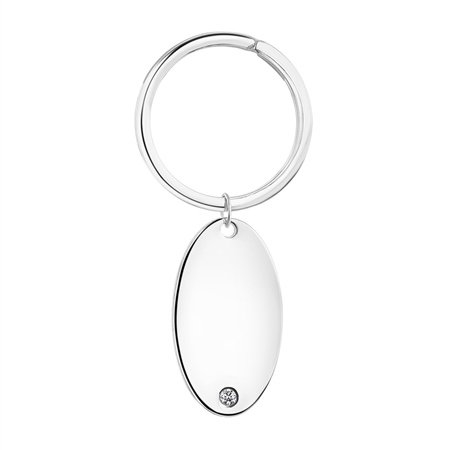 Silver plated keyring with a protective anti tarnish layer, oval design with clear stone setting, suitable for engraving, presented in a Newbridge Silverware gift box. Product dimensions 37mm x 20mm x 3mm.